As religious educators wrestle with the shifting trend towards “family ministry,” many congregations are seeking resources and concrete examples of what’s working. 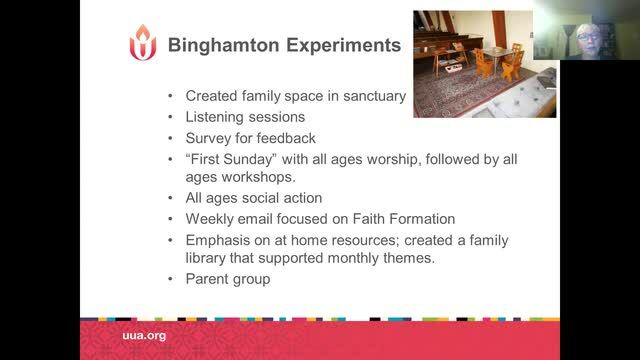 We’ll look at two congregations that have committed to a version of the “Family Ministry” model and some of the specific implementation goals they are working towards. Bring your stories! Presented by Patricia Infante, CER Program Manager for Faith Development.